Living off the grid has many advantages. It significantly reduces the pressure on fossil fuel use, and thus reduces the environmental impact that most people have on the planet. Here are a few simple alternative energy sources for off the grid living if you choose to do so. Most Americans will see their energy bills rise as the hot summer gets here with the increase in the use of air conditioning and other kinds of utilities. Cooling our homes or businesses require energy, and as a result of your energy consumption also impacts the environment in your local area, and as a result of the planet as an extension of that. 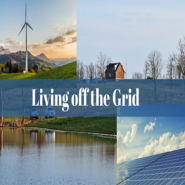 By living off the grid, you may be able to save money and reduce environmental impacts at the same time which may make your life more simple and economical. To live completely off the grid and benefit from it, you will need a reliable and steady source of energy that doesn’t impact the environment. 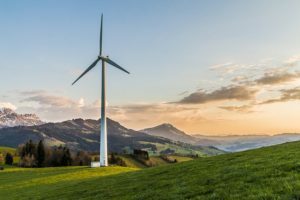 Alternative energy sources such as wind turbines, solar panels, and many others have become more efficient over the years and are now hold more promise as an energy source for the future. With the latest innovations, alternative energy sources not only produce energy continuously, but they also store energy when you’re not using it which can make your energy consumption more efficient. Solar Energy is probably the most efficient way to produce electricity off the grid. If you live in an area where you get plenty of sunlight, it might be an ideal method for you. Solar panels and inverters can produce and save a lot of energy for you to use. Solar panels are relatively easy to install, and they don’t have any moving parts. 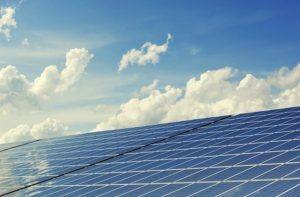 However, solar panels can be expensive to install and setup, but, it can be a good investment in the long run so this is definitely a method to consider. Hydro electricity is also a great way to generate electricity, which is probably one of the less popular methods of off-grid electricity. Micro-hydro electricity uses water current from a stream or a source of running water to turn turbines and produce electricity. It’s a very cost-effective way of generating electricity, so if you live near a steam or any kind of running water source, you may consider installing a hydroelectricity producing device and generate electricity 24 hours a day, seven days a week which can save you lots of money in the long term. Try to apply some of these methods to generate electricity. Even if you don’t plan to live completely off the grid, you can still plan to partially power your hour house or business with some of these off the grid methods and save money and energy. P.S: To find out more about Green Ecolonomic Living, visit our EAT Community sites. You’ll find hours of instructional videos and information to help you improve your life! Green Energy Resources – What are The Best Options? Yes, Indeed the presented three are the most profitable and greeny systems ever for the alternative power source. But what I’m using and preferring someone is Solar Energy. May be the initial cost is high, but I’m getting uninterrupted seemless energy resource from solar system in my home and office. I turned all of it into a fully conventional system. I may prefer you the link: https://tinyurl.com/ycox7j7a incase if you want to do it yourself the same.